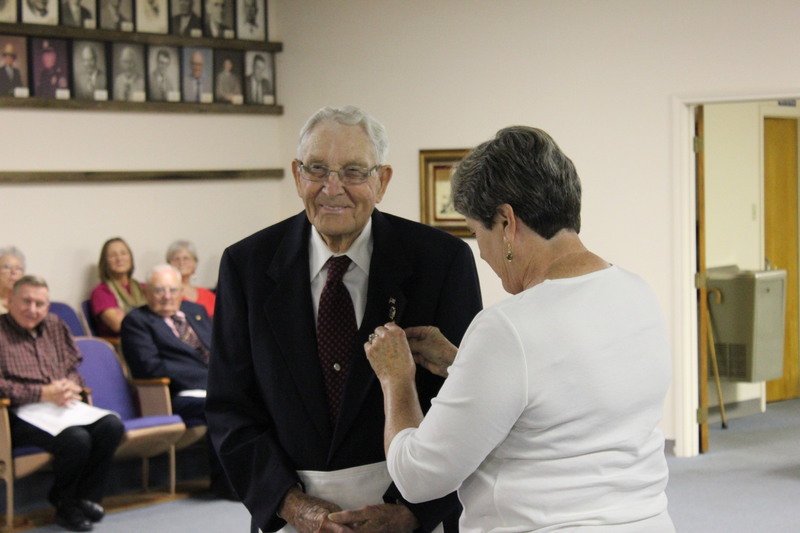 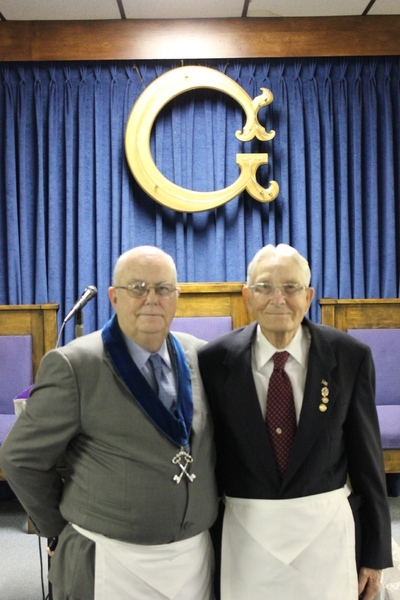 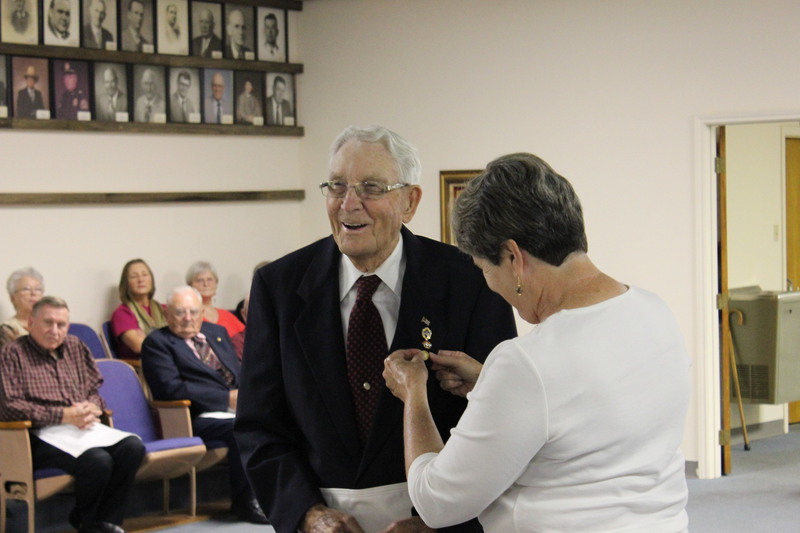 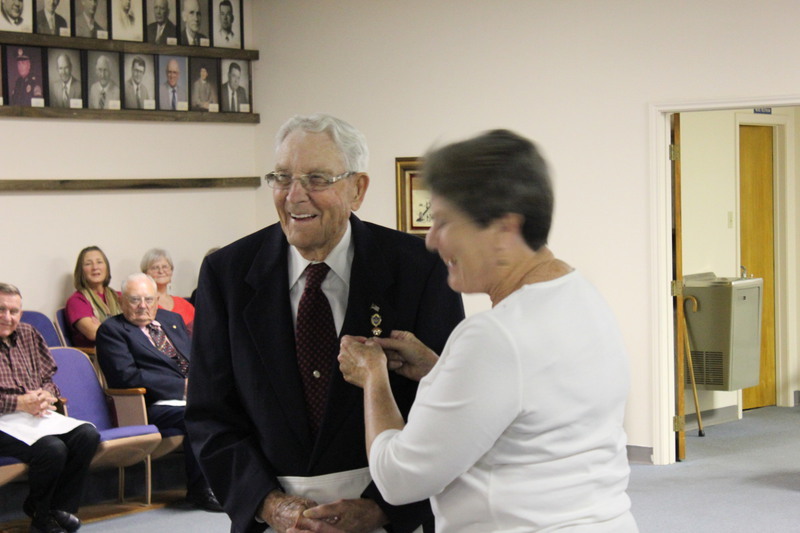 On 13 Sept Travis Lodge was honored to present the 60 Year Pin to Brother Earl J. Howard. 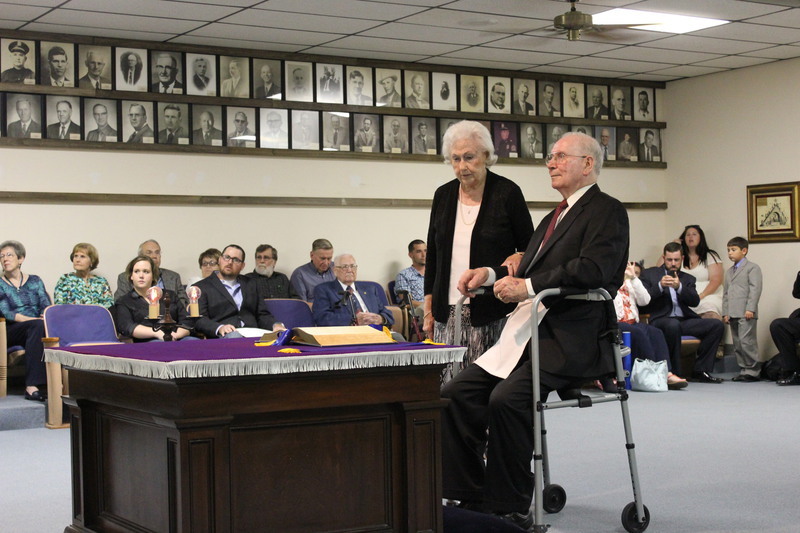 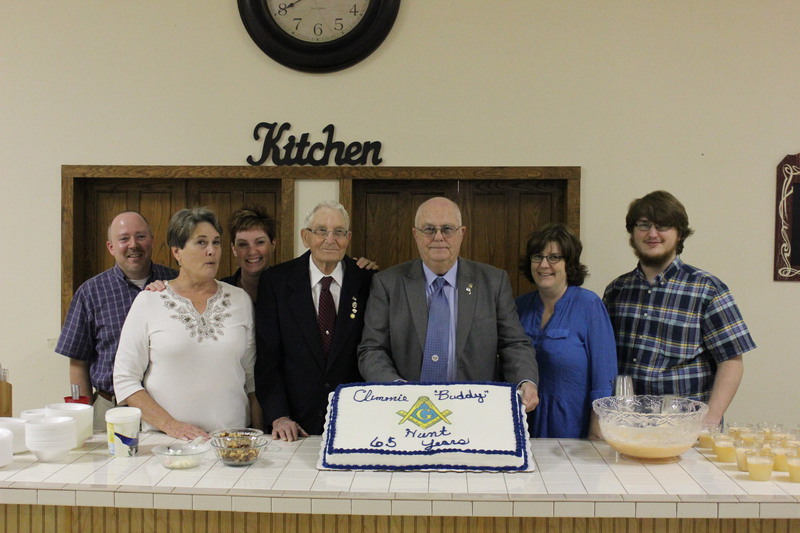 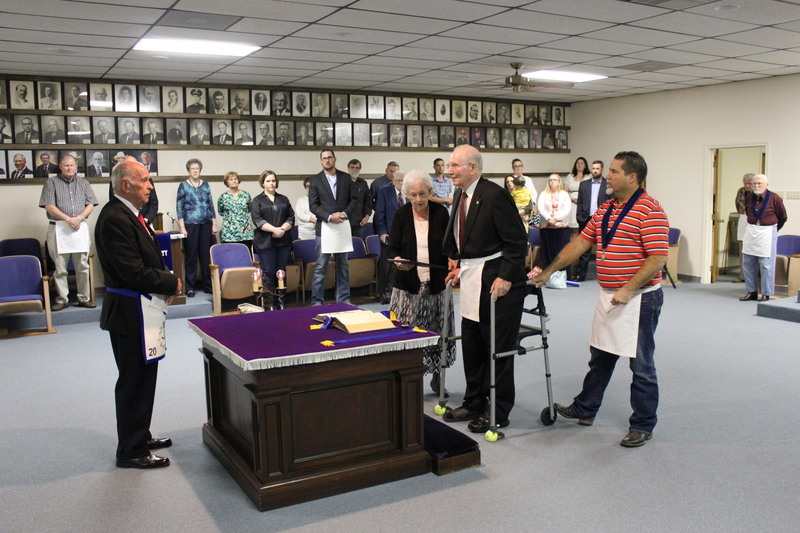 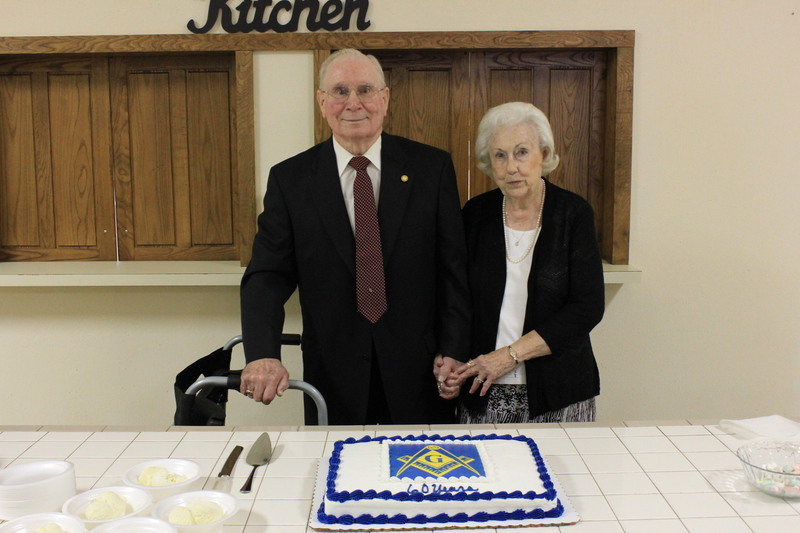 Brother Howard and many of his family celebrated this great achievement and reflected on his 60 years as a Master Mason at Travis Lodge. 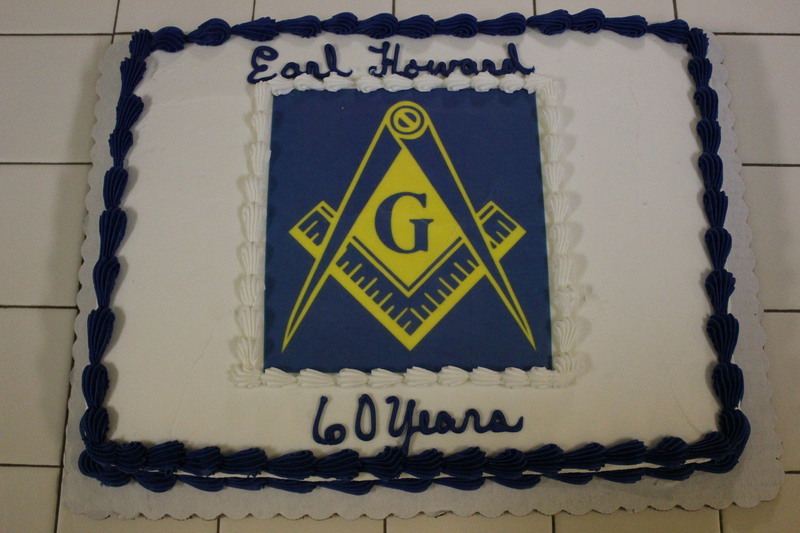 Gongratulations to Brother Howard and we hope for many years to come. 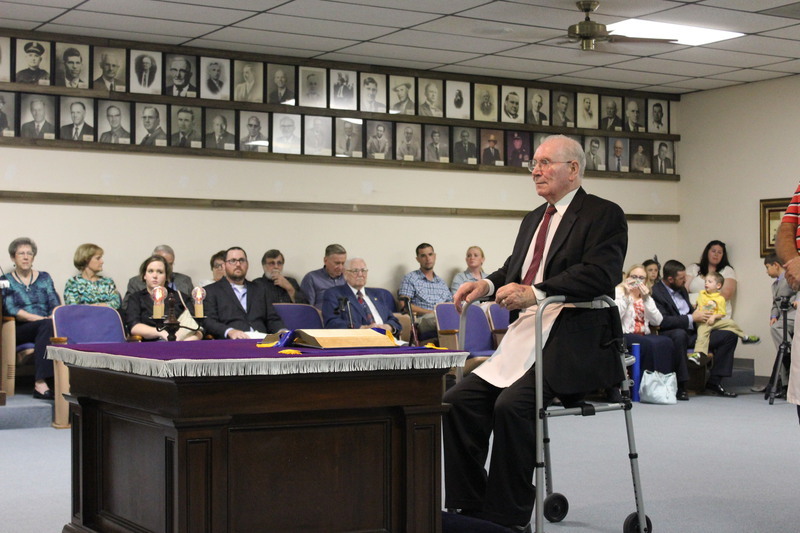 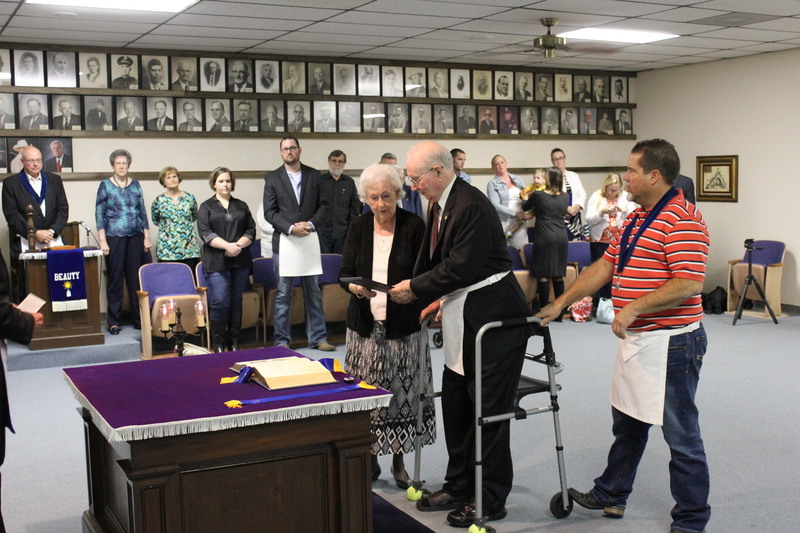 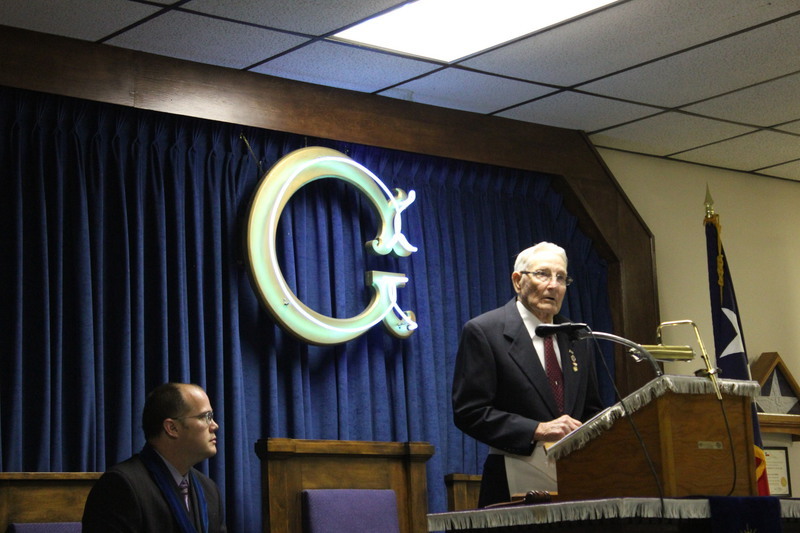 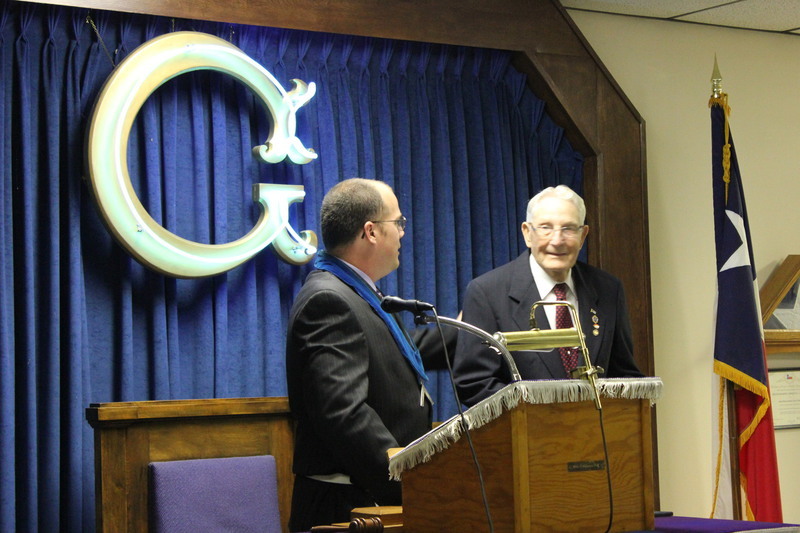 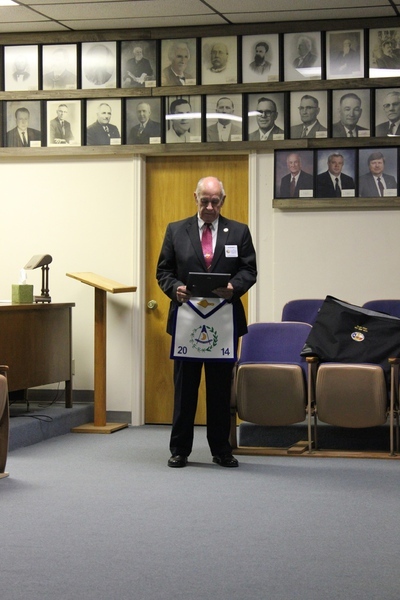 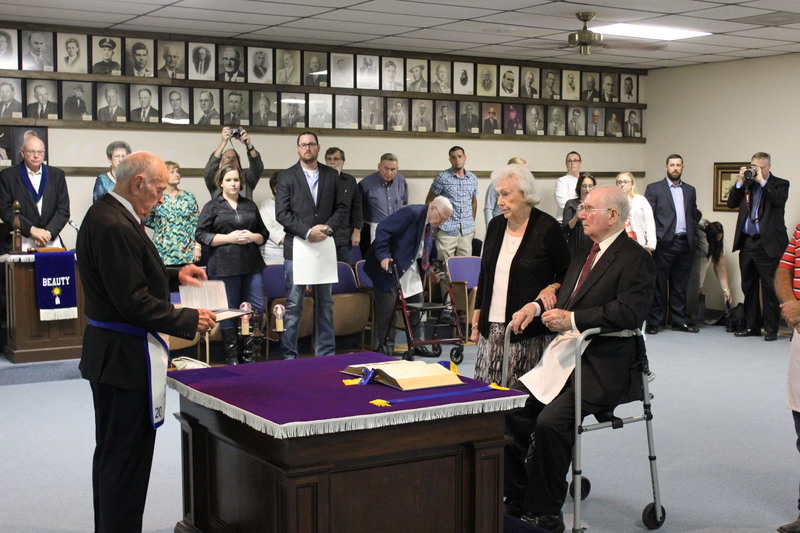 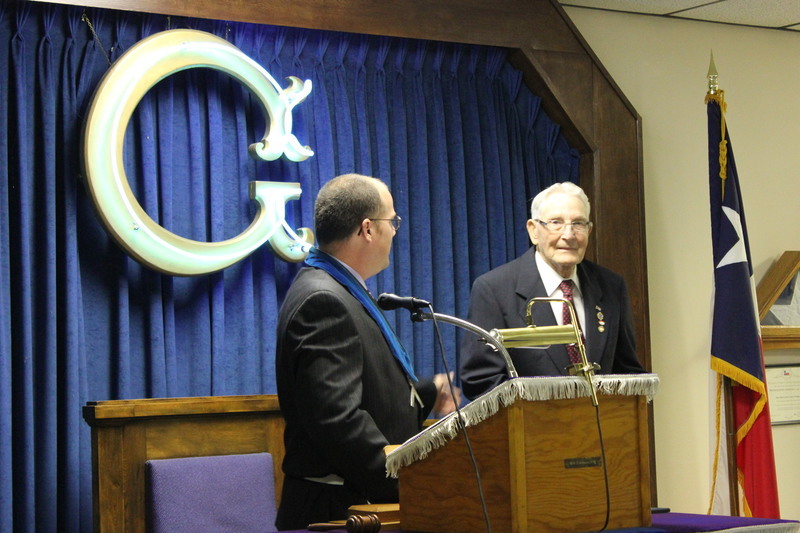 On 27 September Travis Lodge had the honor of presenting Brother Clemey "Buddy" Hunt. 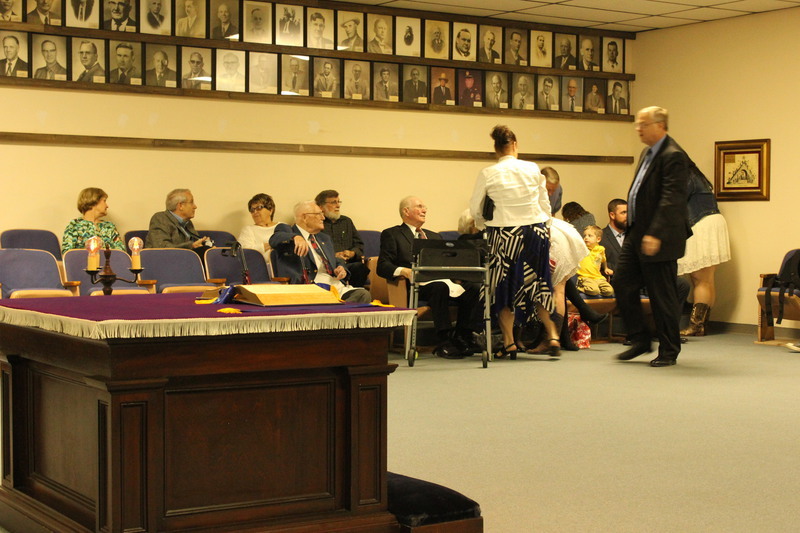 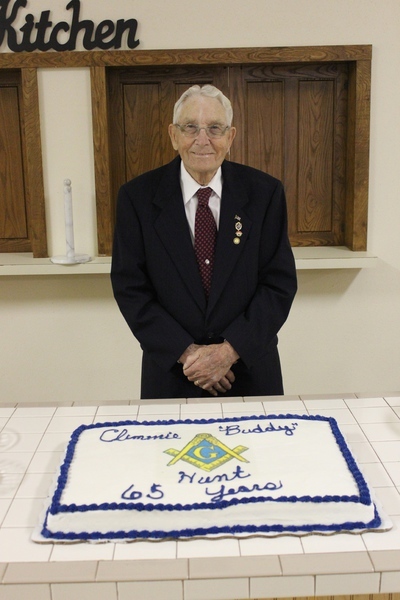 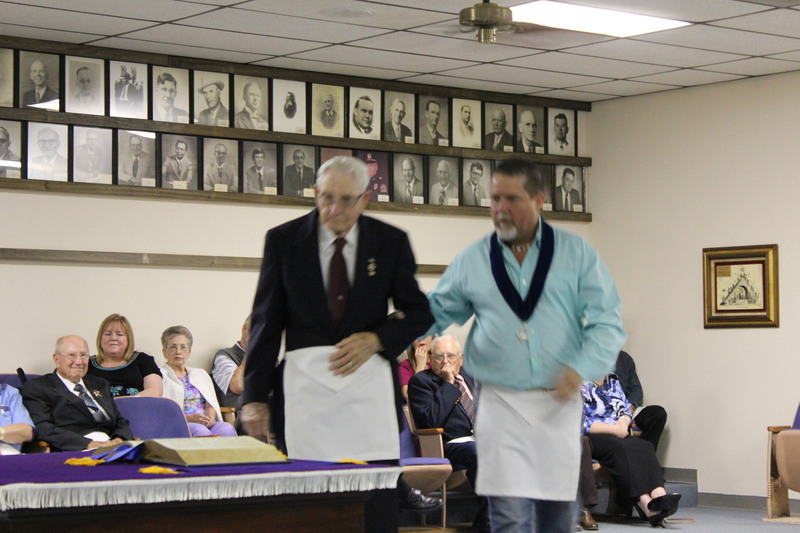 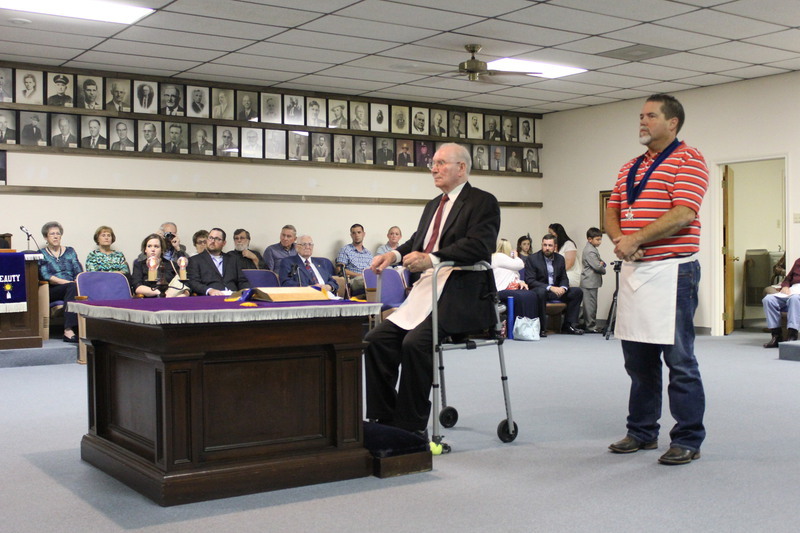 Brother Hunt has given 65 years in the servoce of Masonry. 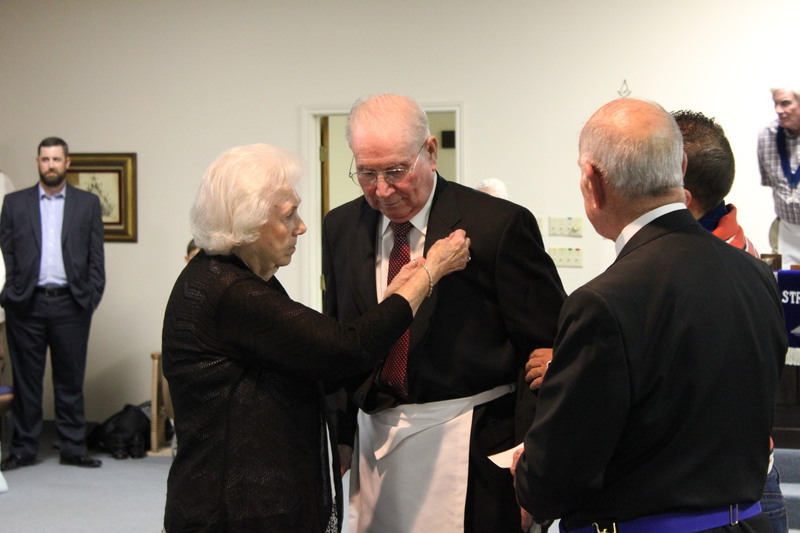 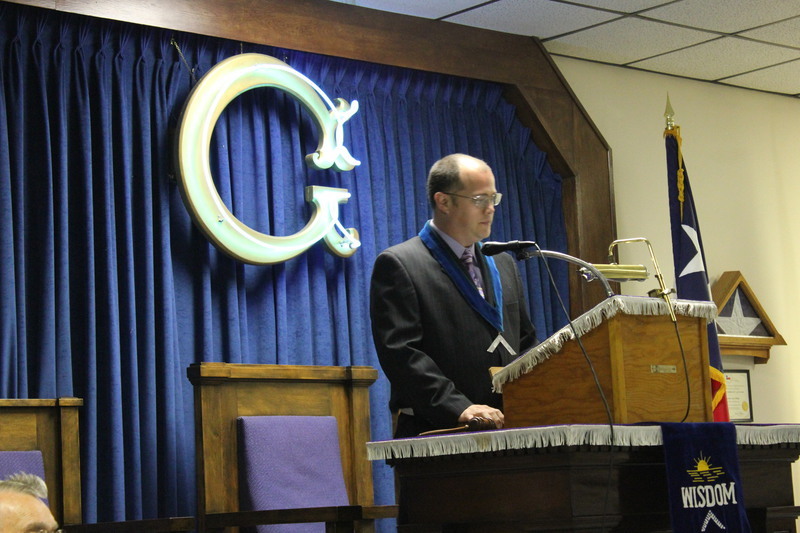 His dedication to the craft is a example for all Masons. 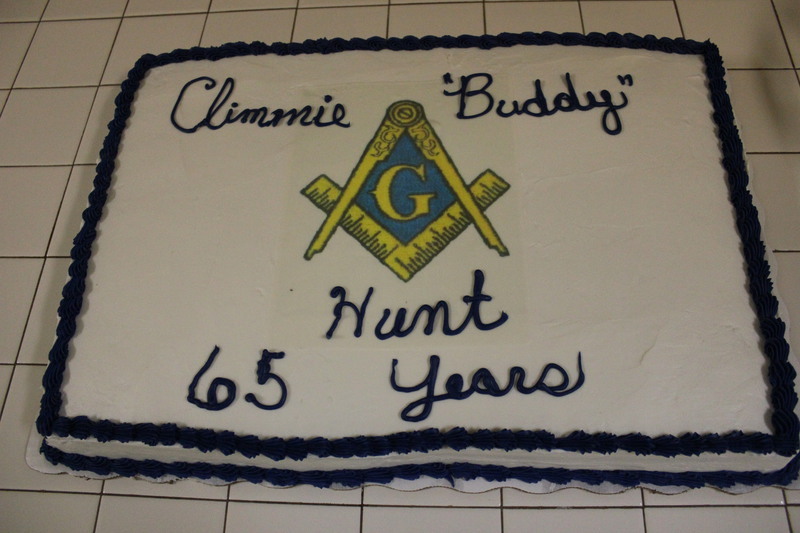 Congradulations to Brother Hunt!! 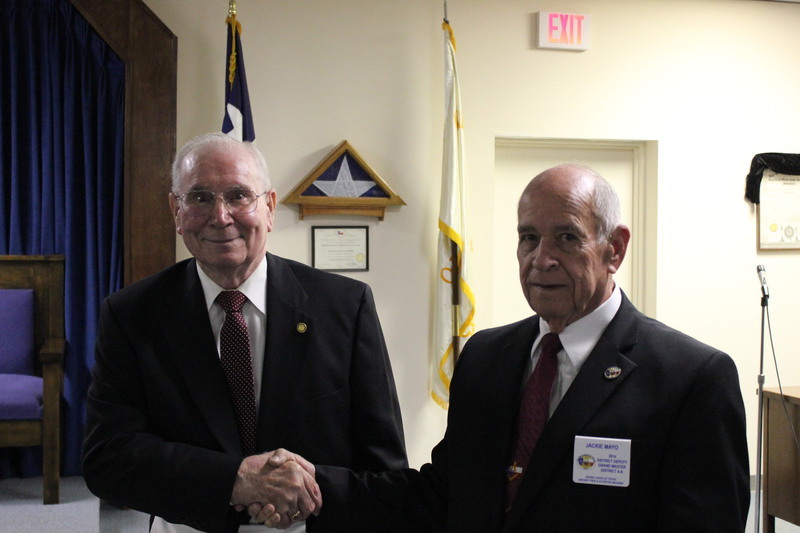 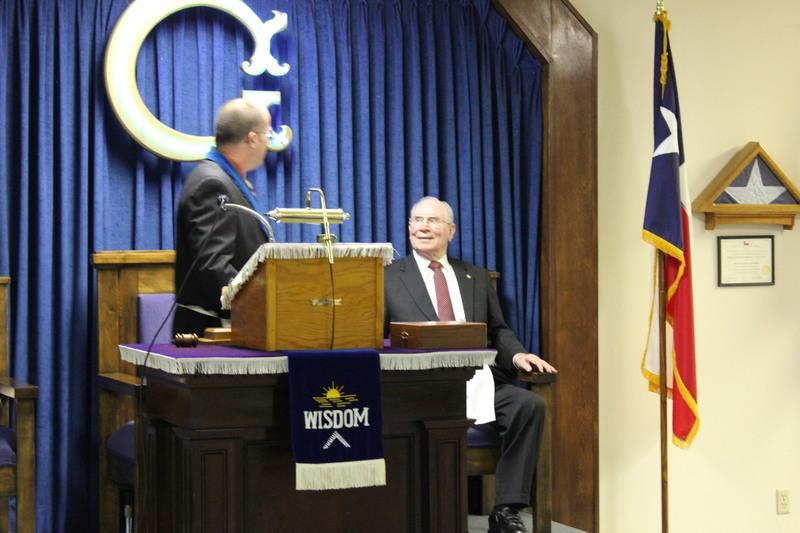 Brother Buck Barker recieved a visit from members of Travis Lodge on 3 Jan 2015. 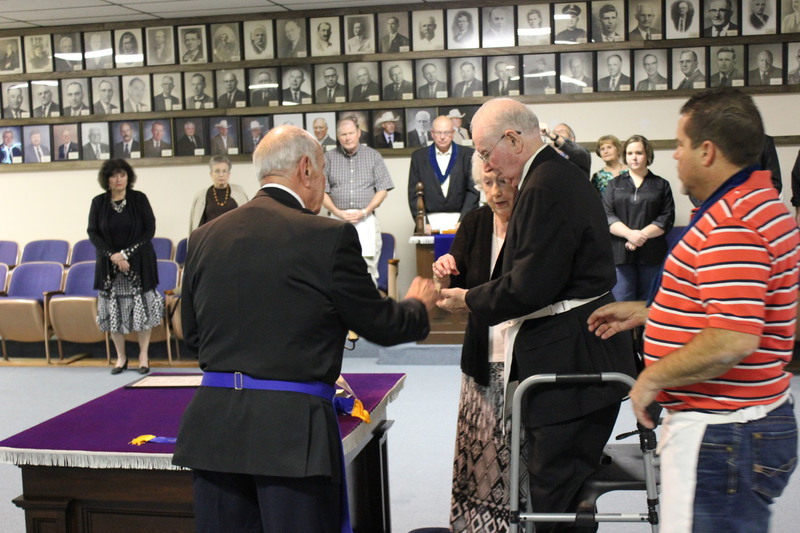 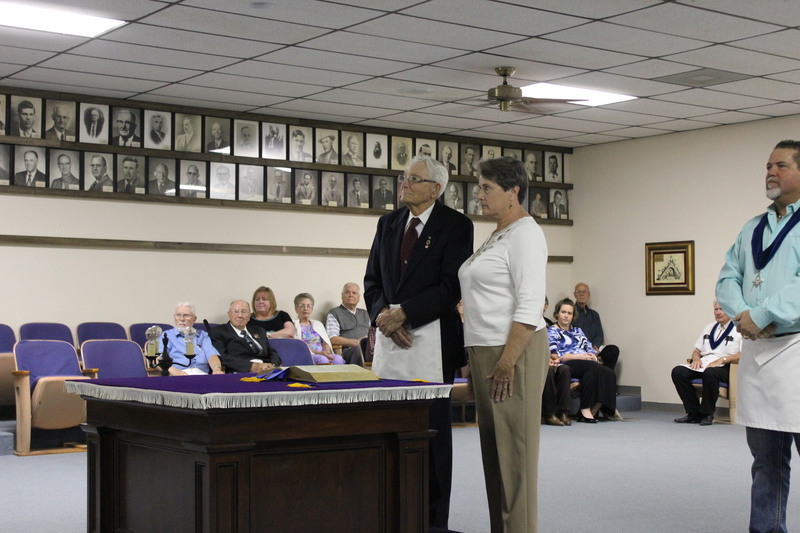 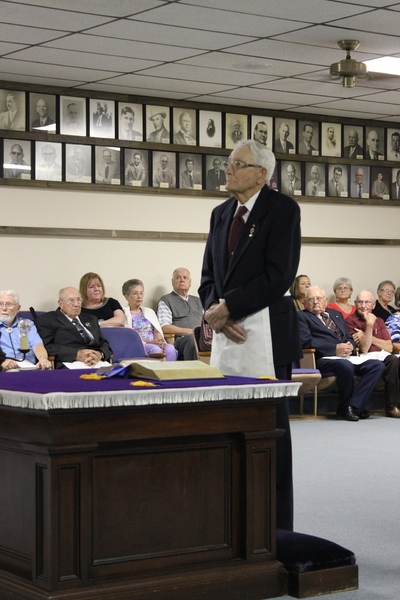 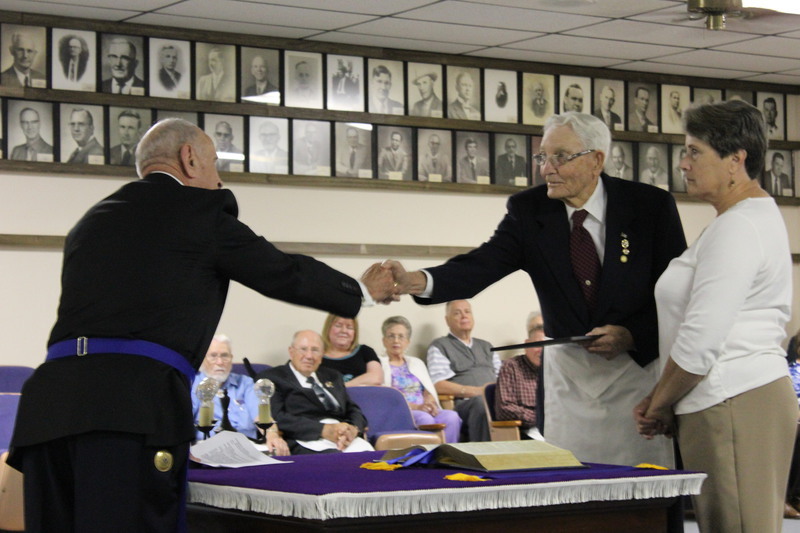 Along with fellowship, they presented him with a certificate of 70 years of Masonic Service.